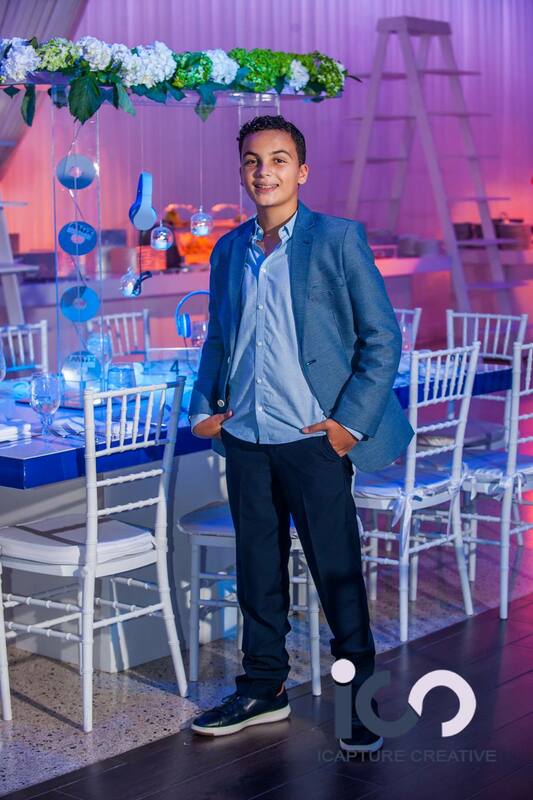 Maxwell's Bar Mitzvah at Lavan in Cooper City / Fort Lauderdale was spectacular! Tammy Vahnish from Tali Table Designs put together a chic design that was just perfect for the occasion! 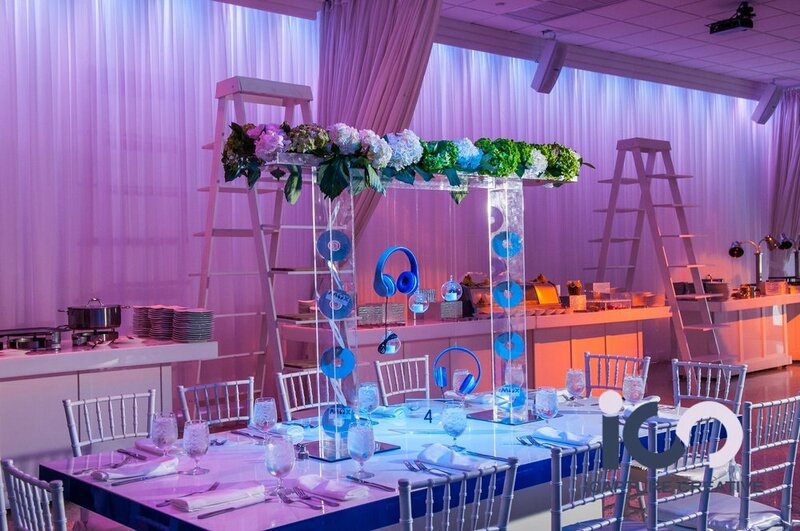 A blue and white color theme featured a graphic illustration of earphones incorporated into a custom logo for Max. Max's party logo was featured on place cards, seat cushions and emblazoned across the step and repeat. The family's photo shoot was scheduled for before the party in the Fort Lauderdale venue's lush tropical courtyard which offers plenty of photogenic backdrops, perfect for the ideal South Florida event. 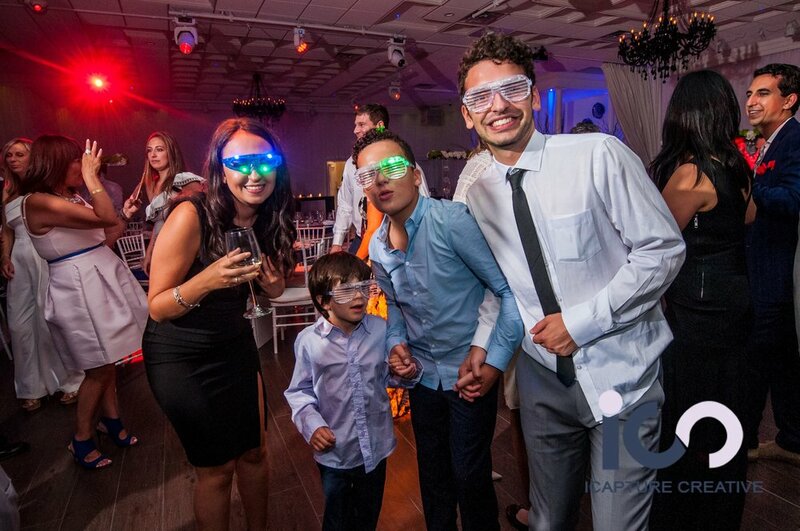 Everybody had a blast, with Premier Power Productions providing live entertainment that kept everyone dancing into the night!